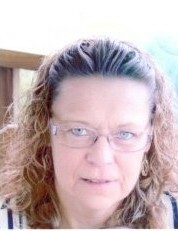 With her family by her side on Sunday, April 7, 2019, Elizabeth A., age 53, of Burgettstown . Beloved wife of Stanley M. Wojtaszek III. Loving mother of Krystal, Heather and the late Samantha Wojtaszek. Special "Studda" of Zoe. Dear daughter of Barbara and the late Anthony Mozick. Sister of Anthony (Dixie) and Michael (Jill) Mozick and Barbara (Michael) Smelko. Friends received at the Hershberger-Stover Inc. Funeral Home, 170 Noble Avenue, Crafton, on Wednesday 2-4 and 6-8 PM. Funeral service in Church of the Nativity, 33 Alice St., Crafton on Thursday at 11 AM. Interment private.